Lincoln County was established in 1796 and the first court sessions were held in the home of Joseph Stovall. 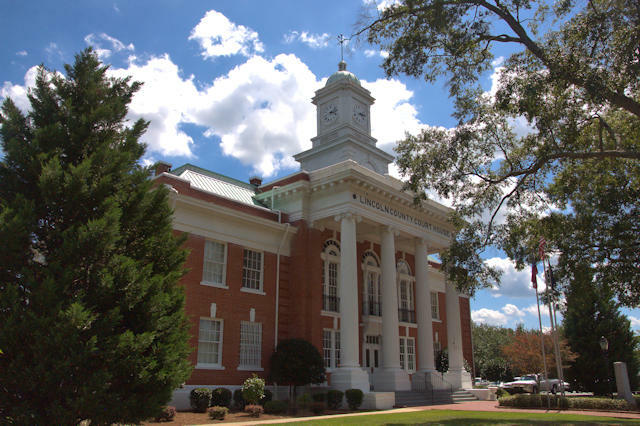 When Lincolnton was designated county seat circa 1800, a stone courthouse was constructed. A new courthouse was built in 1874 and served until the construction of the present structure. It was designed by prominent Southern architect G. Lloyd Preacher, who was responsible for such landmarks as the Atlanta City Hall and the Henry Grady Hotel, among numerous others.